This week we have featured FXT Obstacle Addicts who took part in the Battle of Lansdown with us. 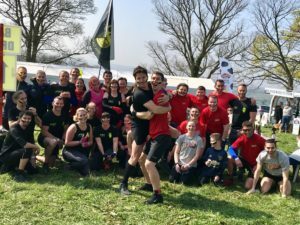 ‘The FXT Obstacle Addict workouts started as a result of realising that people were ‘addicted’ to OCRs, which we learnt whilst participating in many ourselves. We also realised that people couldn’t regularly get their obstacle ‘fix’ because events are often months apart and are scattered all over the country. As a result of this we decided to start our very own obstacle style workout in the local area, that people could do regularly to help them train for OCRs whilst still getting their ‘fix’ throughout the year. 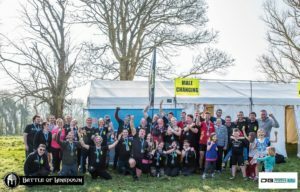 The workout has been hugely popular and regularly attracts 20-30 people, which is managed by 2-3 qualified personal trainers (one of which owns TRIBE PT – our partners) who help motivate and coach people in a really friendly environment.